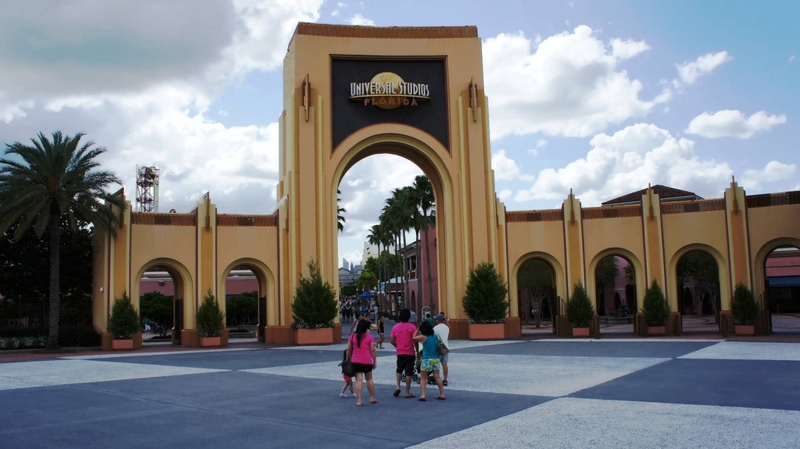 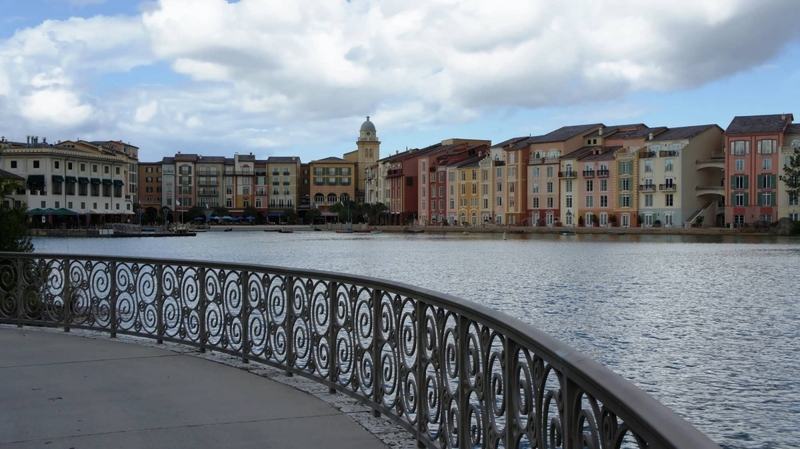 This page includes information, photo tours, and an HD video of the transportation between Portofino Bay Hotel, Universal CityWalk, and the Universal Orlando theme parks (Universal Studios Florida and Islands of Adventure). 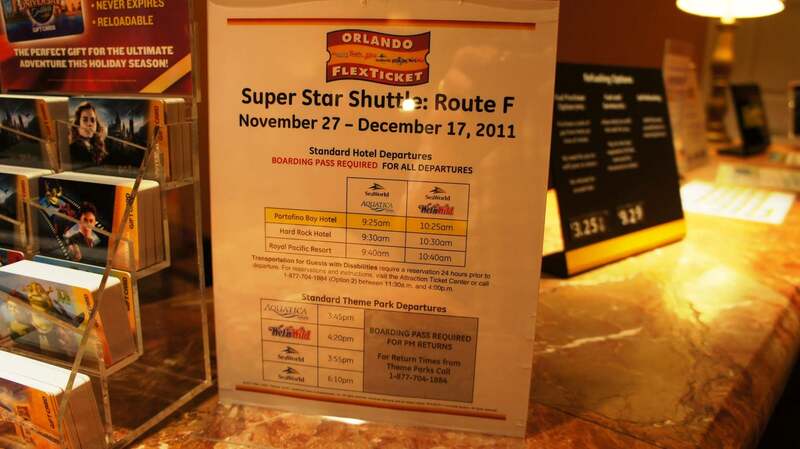 This page also includes information about the shuttle service from Portofino to SeaWorld, Aquatica (SeaWorld’s water park), and Volcano Bay, Universal’s water theme park. 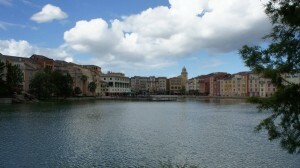 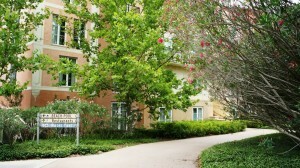 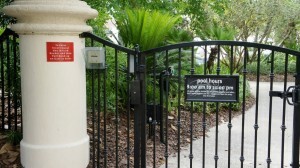 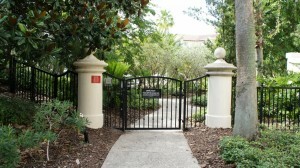 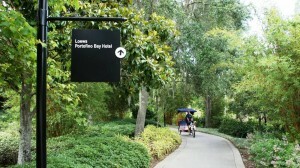 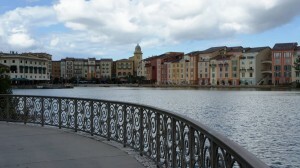 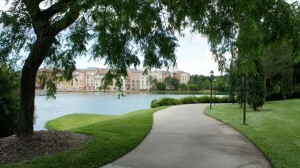 Portofino Bay Hotel is one of the furthest of the five on-site hotels from the Universal theme parks and CityWalk. 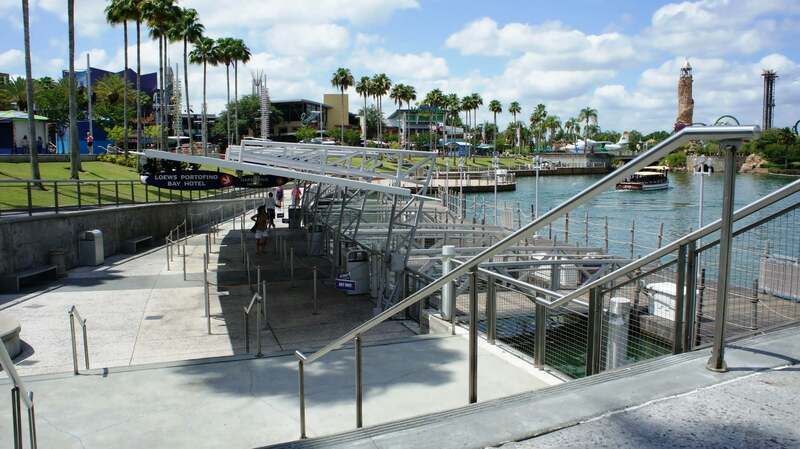 While this means it might take a minute or two longer to get to your entertainment destination, it also allows the venue to feel secluded and immersive; when you are strolling along the cobblestone pathways in the Harbor Piazza, all you can see is the hotel and the bay stretching out in front of you. 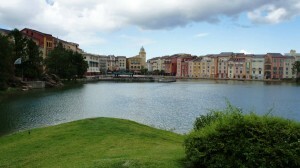 As you can see from the map, Portofino Bay sits on the northeast edge of Universal property. 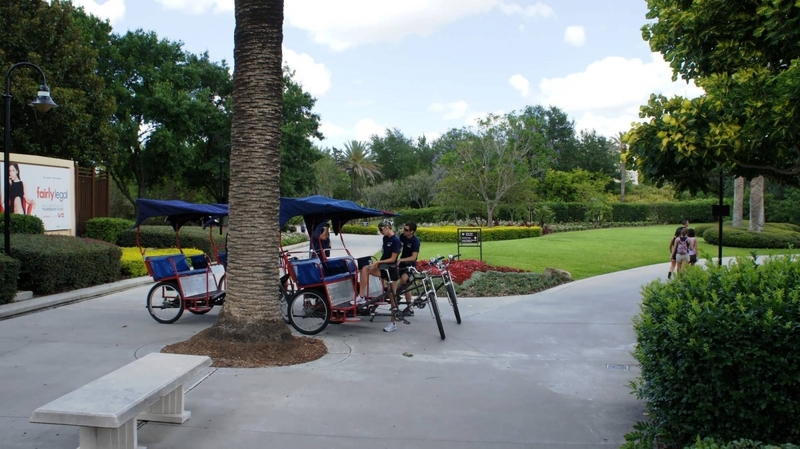 You have three options for transportation, which will be explained below. 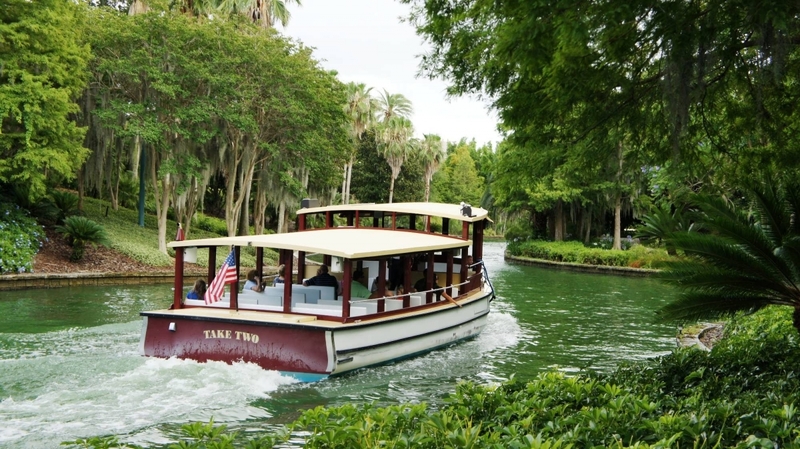 Water taxi: Universal’s complimentary water taxis begin operating 30 minutes before Early Park Admission and run continuously until 2:30 am every single day of the year. 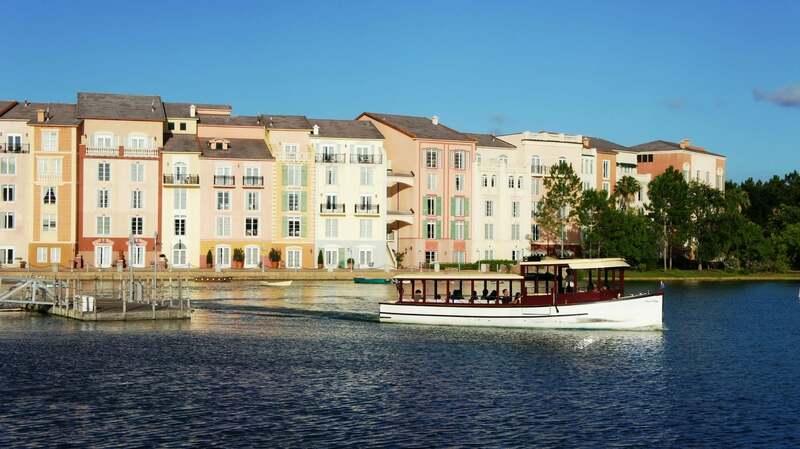 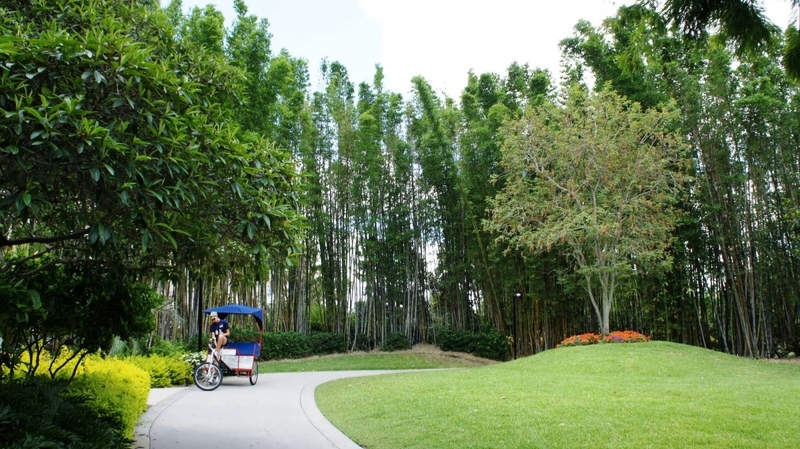 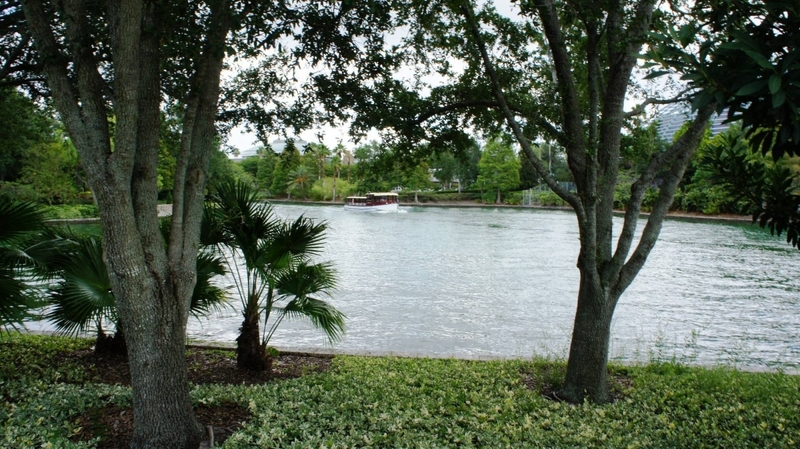 Most of the on-site properties have their own dedicated water taxi, so you will be picked up from the hotel and brought directly to the CityWalk dock every time, and vice versa. 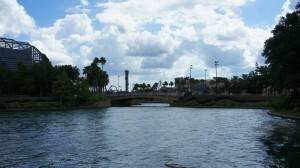 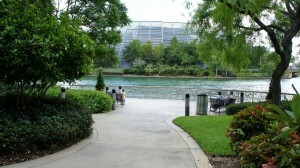 (There is a single water taxi dock for CityWalk and the two Universal theme parks, as seen in the photo above.) You can view an HD video of the water taxi service toward the bottom of this page. 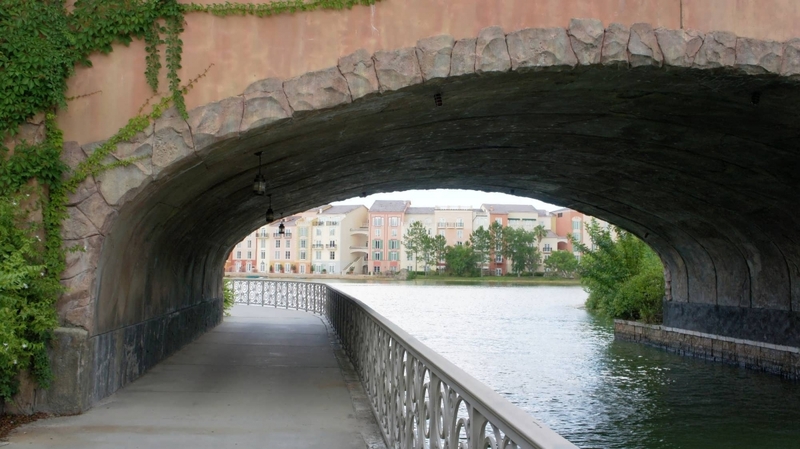 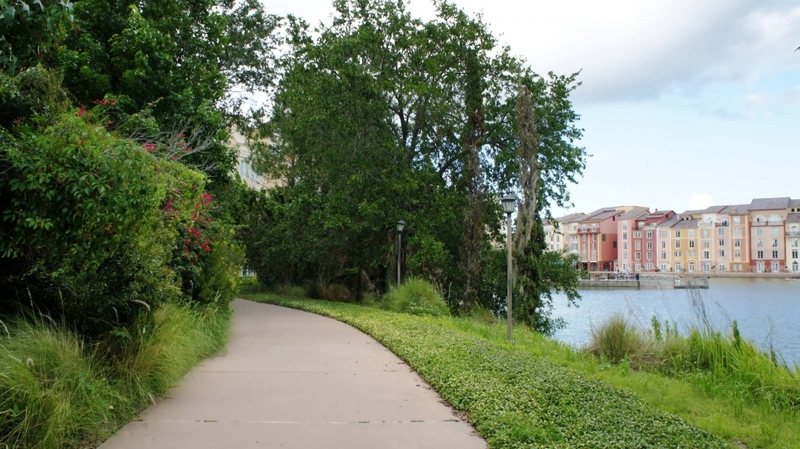 Garden walkway: this roughly four-fifths-of-a-mile walkway brings you from Portofino Bay, past Hard Rock, and on to the CityWalk entrance next to Universal Studios Florida. 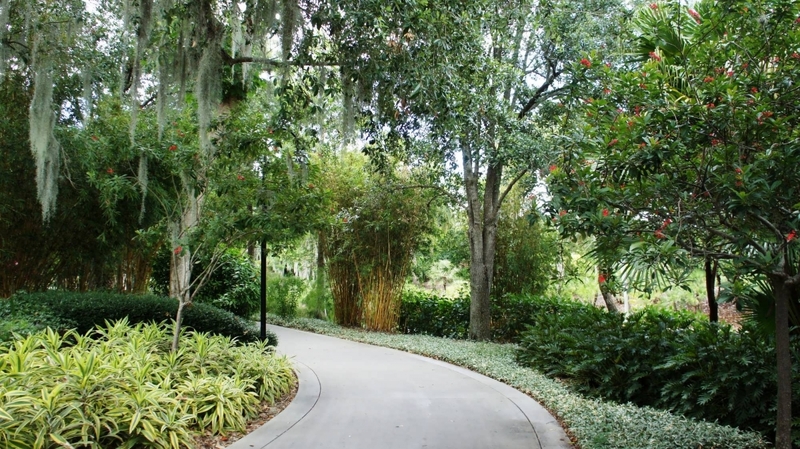 The path is extremely easy to follow, beautifully landscaped, and safe because it never crosses any public roads. 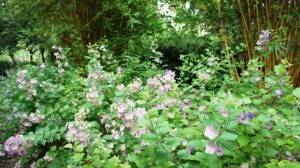 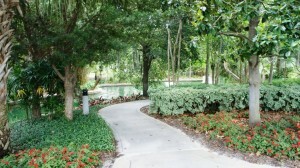 You can view a photo tour of the garden walkway at the bottom of the page. 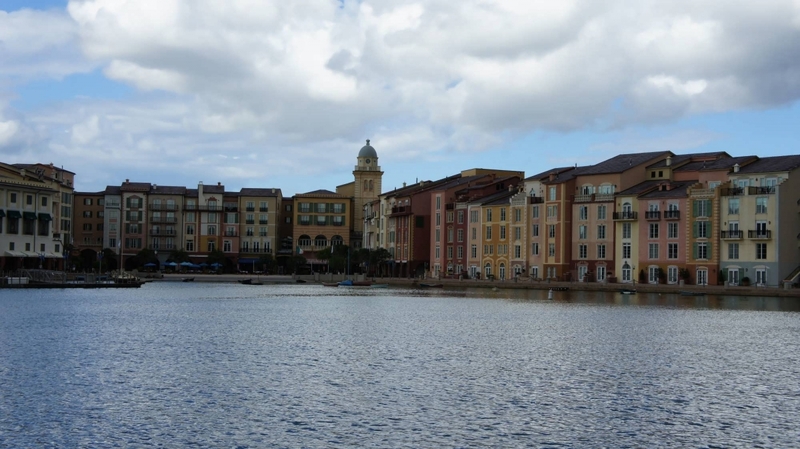 The following video shows you exactly what it looks like to ride the water taxi from Universal CityWalk to Portofino Bay Hotel, passing Hard Rock Hotel along the way. 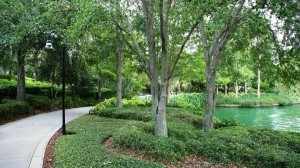 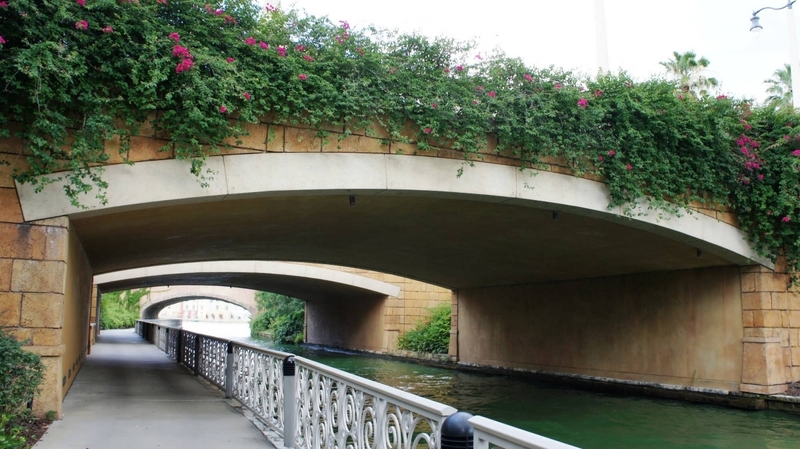 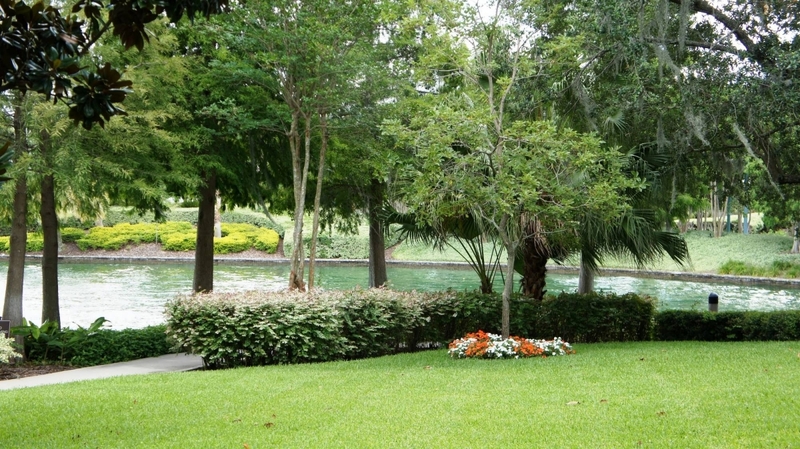 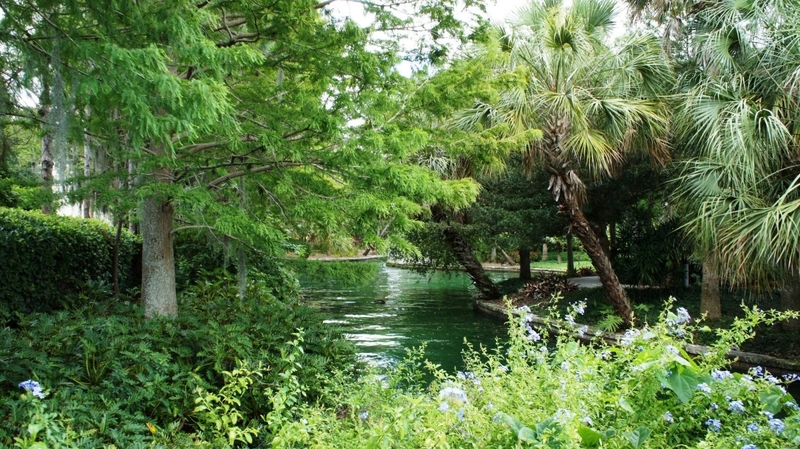 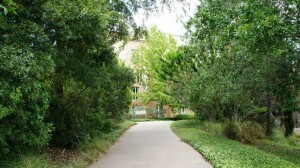 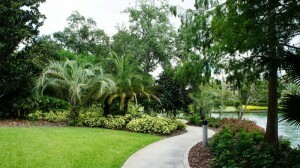 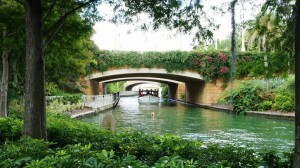 You can see the garden walkway very well, as it winds along the waterway during the entire route. To see a beautiful view of Portofino Bay, jump ahead to 4:25 in the video. 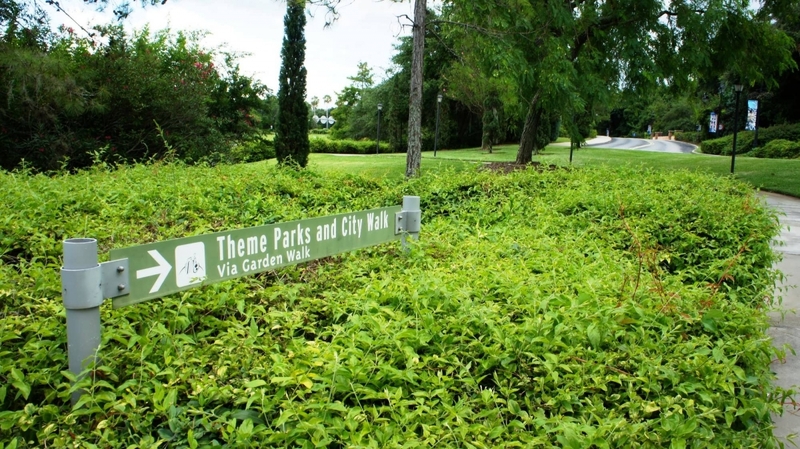 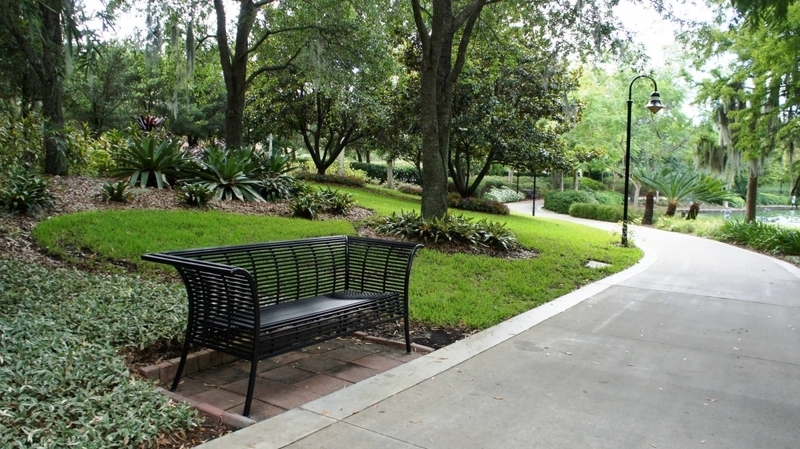 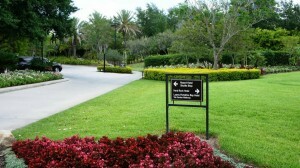 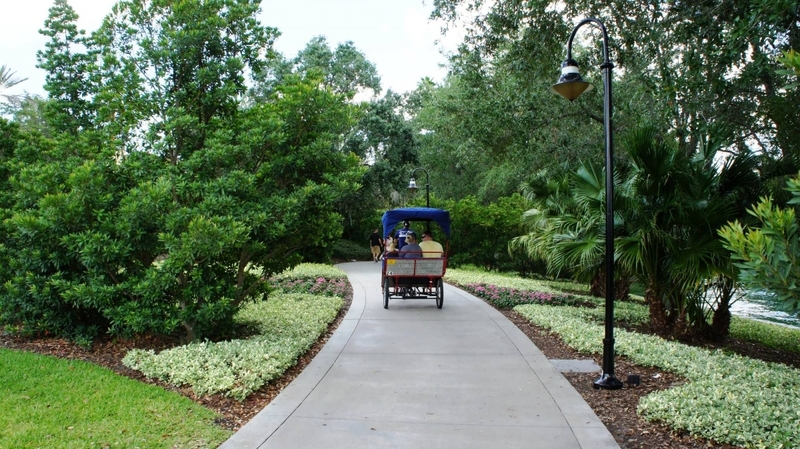 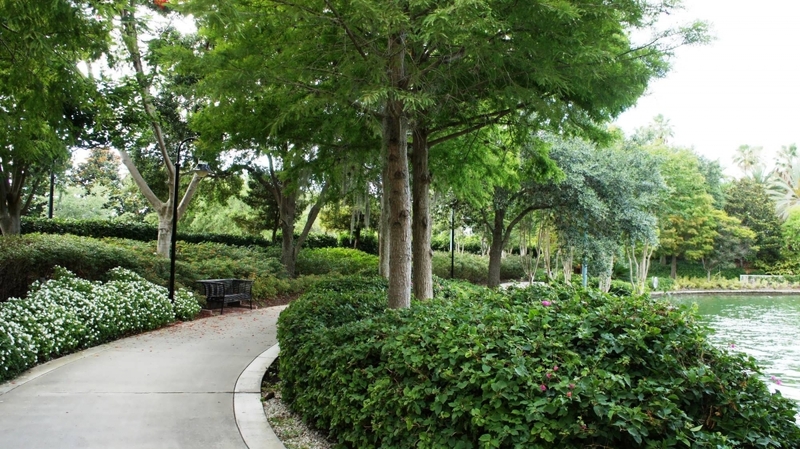 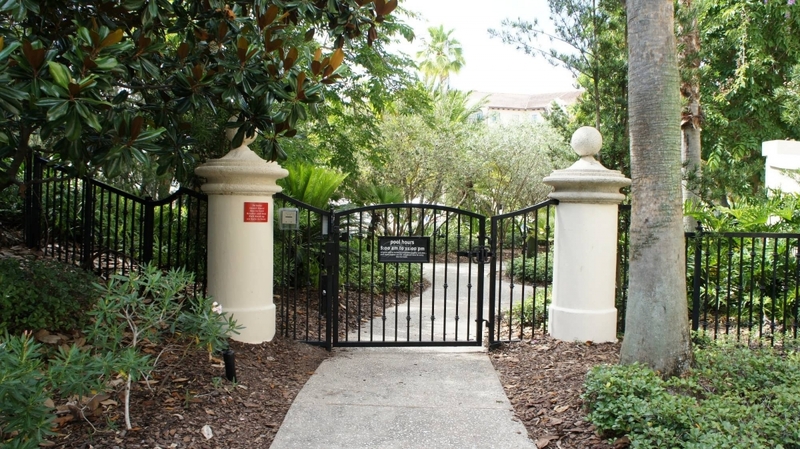 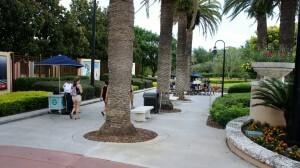 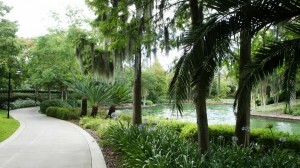 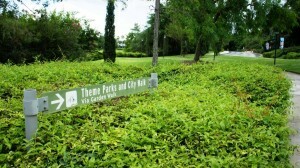 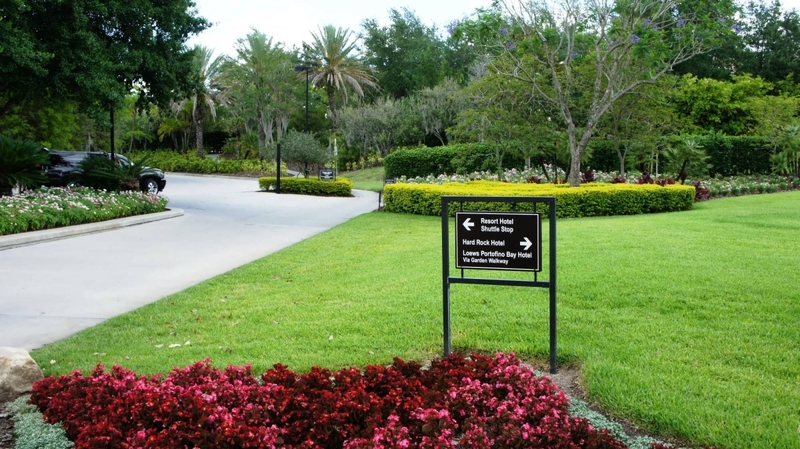 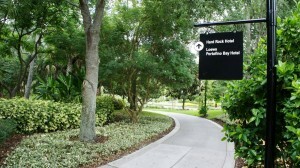 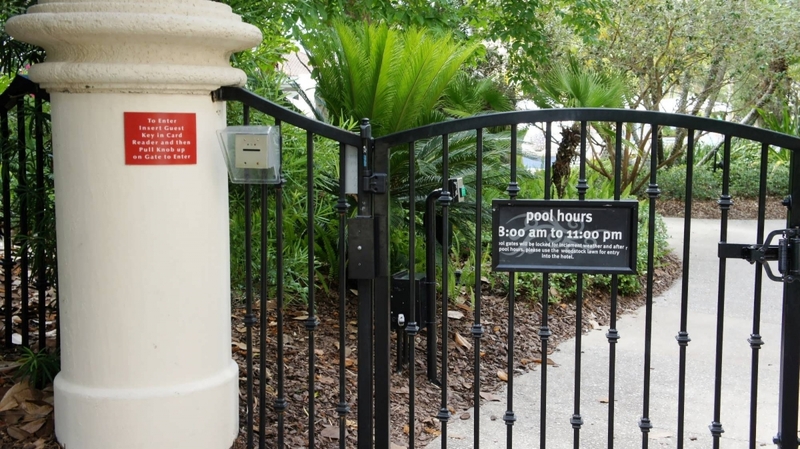 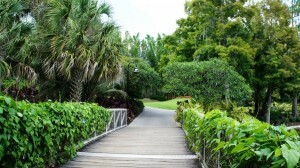 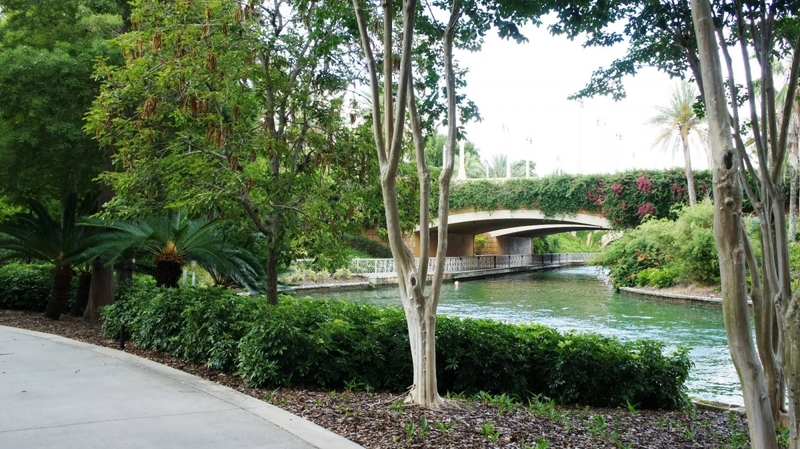 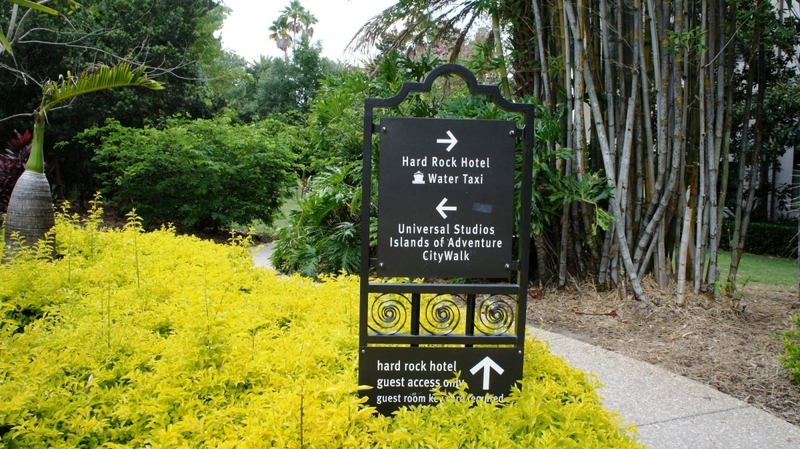 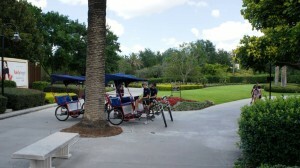 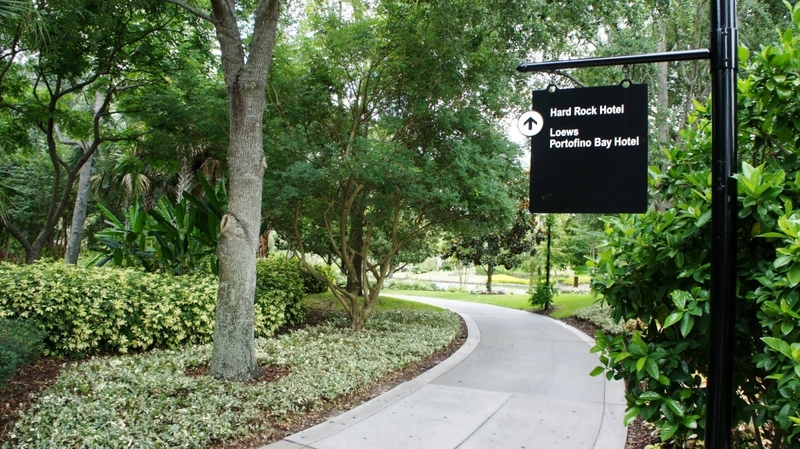 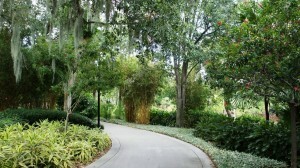 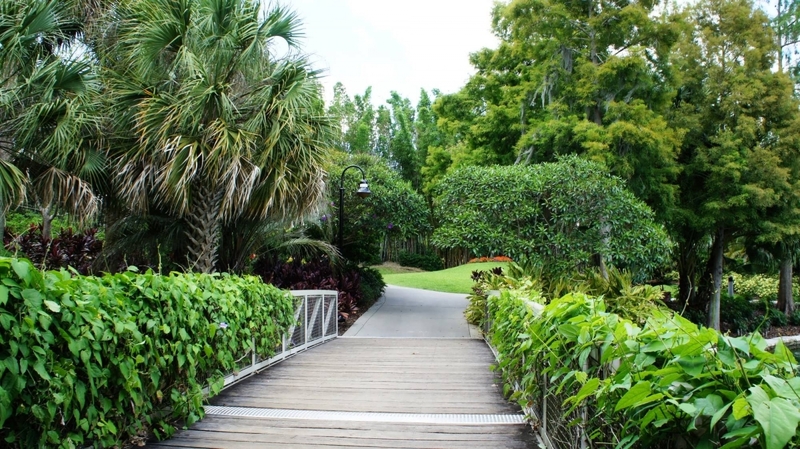 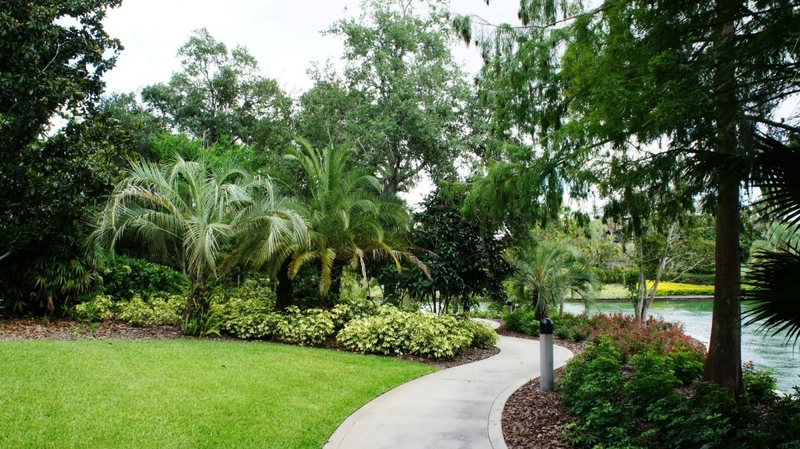 This gallery is included because the garden walkway connects CityWalk to Hard Rock Hotel and then Portofino Bay Hotel. 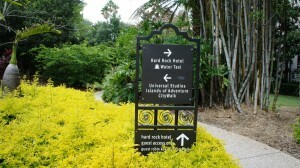 You will walk this route first, but continue on instead of turning into the Hard Rock pool area. 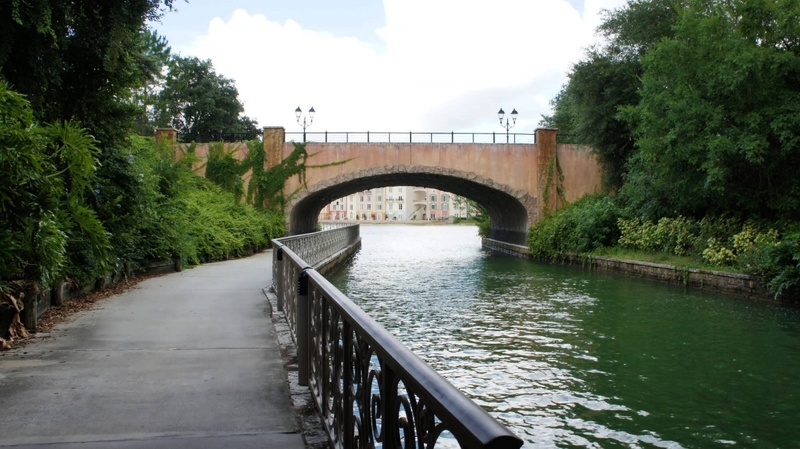 This gallery picks up from Hard Rock Hotel and takes us all the way to Portofino Bay Hotel.